The BJP-led government, since coming to the power, has reduced red-tape and corruption, and its reforms have ensured India jumps ranks from 142 to 77, the Finance Minister said. 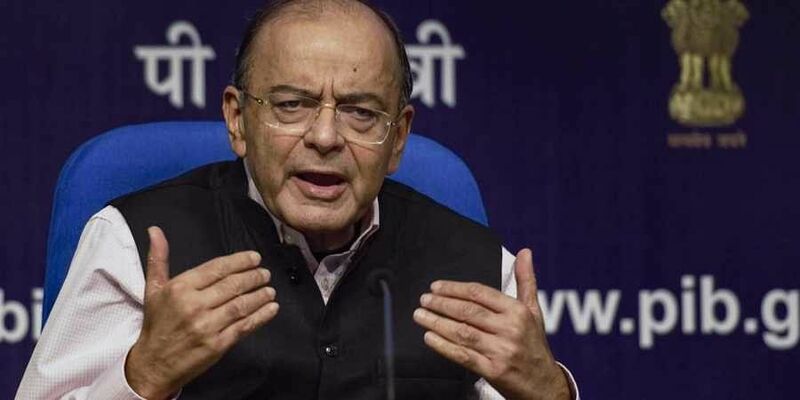 NEW DELHI: Enthused by 23 notches jump in the World Bank Ease of Doing Business, Finance Minister Arun Jaitley exuded confidence that India can now hope to achieve the target of breaking into top 50 rank in the coming years. Narendra Modi led government when came to power had set target of reaching 50th rank in the Ease of Doing Business Index. The target points for improvement are registering property, starting a business, Insolvency, taxation and enforcement of contract, he said. "Legislation is already in place with regard to Enforcement of Contract, Taxation and Insolvency. Starting business, central government and state governments have to work together." "If we work in focussed manner in these areas, then coming below the 50th rank target is not out of reach. Therefore, it can be achieved. Ultimately, Ease of Doing Business is to maximise the governance with minimum government and procedure," Jaitley said. The impact of this would be visible on investment environment in the long term, he added. The BJP-led government, since coming to the power, has reduced red-tape and corruption, and its reforms have ensured India jumps ranks from 142 to 77, the minister said. As per this year's ranking, India's position has declined in four parameters -- protecting minority rights (7), paying taxes (121), registering property (166), and resolving insolvency (108). India was ranked at the 142nd position among 190 nations when the Modi government came to power in 2014. It rose to the 100th spot in the last ranking from 131st rank in the previous year. Neighbouring Pakistan is placed at 136. The World Bank put India among the top 10 economies to make the most improvements. Expressing hope of further improvement Commerce and Industry Minister Suresh Prabhu said: "We will continue to improve more. The structural reforms which have not yet captured fully will be reflected. There are many other measures which will result into improvement of rank. You will see gain in 2019 and ultimate objective is to go into the top bracket within top 50". Observing that the two economies with the largest populations, China and India, demonstrated impressive reform agendas, the World Bank said India also focused on streamlining business processes. India, it said, made starting a business easier by integrating multiple application forms into a general incorporation form. "India also replaced the value-added tax with the GST (Goods and Services Tax) for which the registration process is faster". Also, "India made paying taxes easier by replacing many indirect taxes with a single indirect tax, the GST, for the entire country. India also made paying taxes less costly by reducing the corporate income tax rate and the employees' provident funds scheme rate paid by the employer," the World Bank said. The Finance Ministry in a statement said the rank in Trading Across Borders has taken a quantum leap from 146 to 80 in the Doing Business report released by World Bank. Among the 10 parameters based on which the rankings are determined and which include indices like Starting a Business, Getting Electricity and Resolving Insolvency, the improvement in India's overall ranking this year can be mainly attributed to an exceptional performance in Trading across Borders where India's rank improved from 146 to 80 since last year, the statement said. This positive jump is due to a series of reforms undertaken by Customs in conjunction with Ministry of Shipping and all stakeholders such as importers, exporters, Customs Brokers, CFS operators, Shipping lines and Terminal Operators, it added. Customs has undertaken several initiatives, which included enhanced coordination with other ministries and stakeholders, extensive use of digitisation and new technologies and business process re-engineering to facilitate trade. Appreciating work on trade across borders front, Prabhu said "there is already a proposal which is under implementation where one will be able to import, export, any international transaction through your mobile. The full impact of reforms is yet to be seen. You will see great improvement". The government is working on promoting Ease of Doing Business in districts and many measures you will see happening, he added.